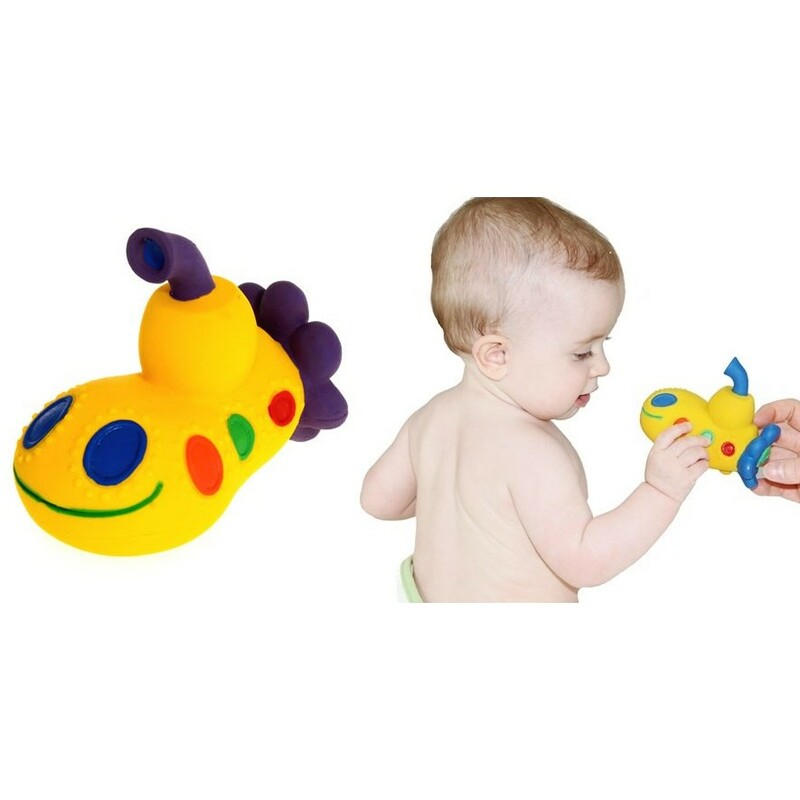 Pheonix is a submarine bath and teething toy made from 100% natural rubber. 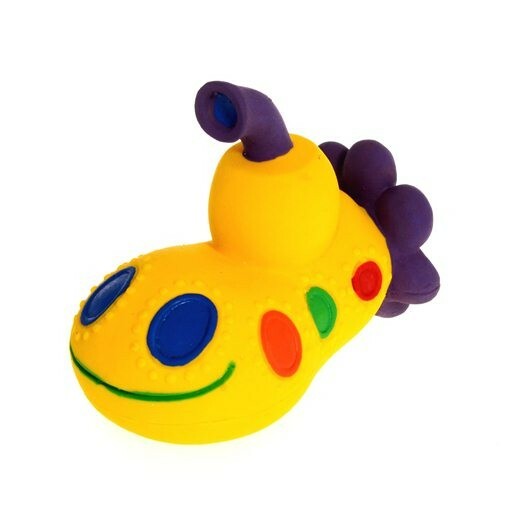 Soft and squishy, great for babies to grab, chew and play with and he makes a squeeky noise too. Play in the bath, in the pram or anywhere. 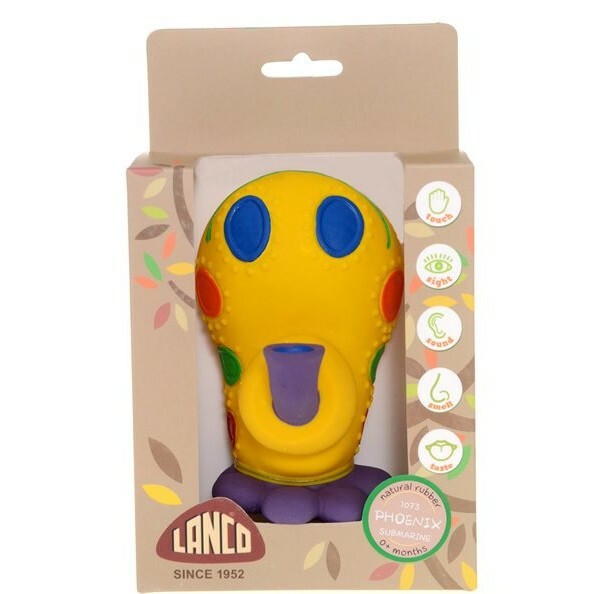 Babies love these cute rubber toys, the texture, smell, taste and bright colours really hold their attention. Only 100% Natural Rubber! The Hevea tree is the natural source of the material used to create these delightful toys. 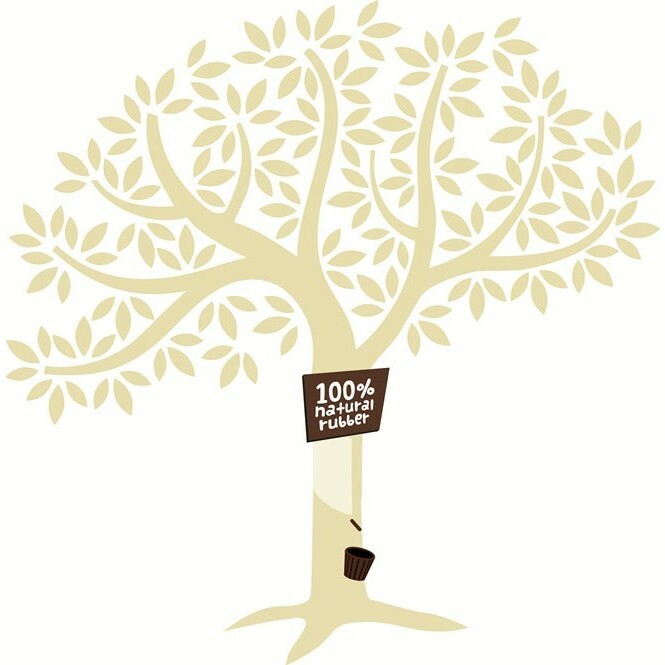 The rubber tree is harvested sustainably without the use of pesticides. The bark of the tree is tapped by making small slits in the bark so the white sap known as latex drips out and is caught in collecting cups. Natural rubber is safe, non-toxic, free from PVC and BPA and is biodegradable. The moulded latex is hand painted with non-toxic food grade paints.